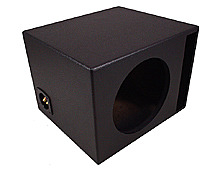 ASC Spray Liner Series enclosures all feature 3/4" MDF Construction. 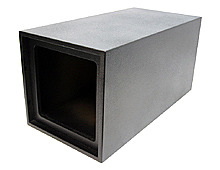 The exterior of the enclosures are sprayed seven times with our high quality black texture liner. This leaves a very durable, water resistant finish that will hold up to just about any kind of abuse. All boxes are glued, nailed and caulked in construction to withstand any bass you can throw at them. 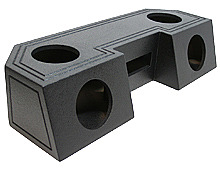 The Spray Liner Series also features high grade binding posts and rounded port vents.